"The only guy who knows where we are, what we're going to do, and he just walked away!" 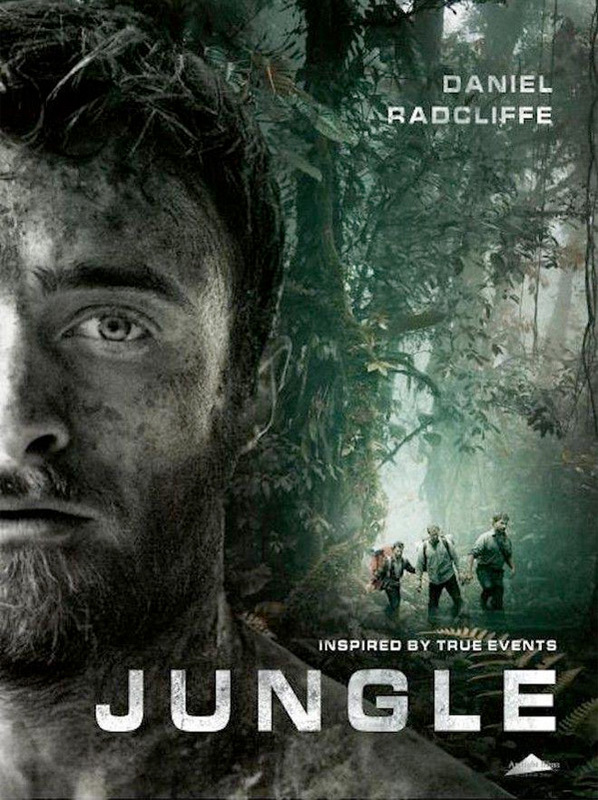 Momentum Pictures has debuted a new official trailer for the survival thriller titled Jungle, starring Daniel Radcliffe as an adventurous Israeli backpacker who gets lots for three weeks in the Amazon jungle. This is based on the true story of Yossi Ghinsberg (and his book) about an incredible endurance test he had to go through to survive. This starts out similar to the first trailer, but the second half is pretty dizzying, and a tiny reference for how brutal it is to survive in these conditions. In addition to Radcliffe the cast includes Alex Russell, Joel Jackson and Thomas Kretschmann. I'm curious to check this out, it seems intense. Plus it might be an oddly perfect double feature with Radcliffe's wacky forest survival comedy Swiss Army Man. Dive in. You can also still watch the first festival trailer for Jungle here, to see even more footage from this film. In the early 1980s, 22-year-old Israeli backpacker Yossi Ghinsberg (Daniel Radcliffe) and two friends – Swiss teacher Marcus Stamm and American photographer Kevin Gale – set off from the Bolivian city of La Paz on what was supposed to be the adventure of a lifetime. Leading the way into the uncharted Amazon was an Austrian expat named Karl Ruprechter, who had met the friends just days before and claimed to be familiar with the region. But their dream trip soon turned into a wilderness nightmare from which not all of the men returned. Jungle is directed by Australian filmmaker Greg McLean, of the films Wolf Creek 1 & 2, Rogue, The Darkness, and The Belko Experiment previously. The screenplay is written by Justin Monjo; based on the book by Yossi Ghinsberg. This premiered at the Melbourne International Film Festival. Momentum Pictures will open Jungle in select theaters + on VOD starting October 20th this fall. You in?